Washington : Donald Trump administration has decided to terminate the ‘Differed Action for Childhood Arrivals’ (DACA), program that granted domicile affidavit to young undocumented migrants who entered US. The termination of this program can lead to deportation of nearly, 800000 young undocumented migrants currently living in the United States. Former president Barak Obama has strongly condemned US president Donald Trump’s decision. The DACA came into effect during Obama’s tenure. 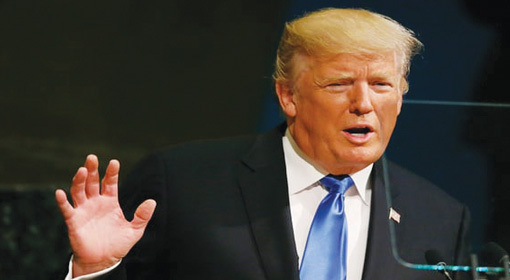 New York : President of Afghanistan Ashraf Ghani claimed that U.S. President Donald Trump’s Afghanistan policy is better than that of Obama and it is going to be successful. Ghani stated that this would be possible owing to a strong Afghani army and the aggressive role against Pakistan. 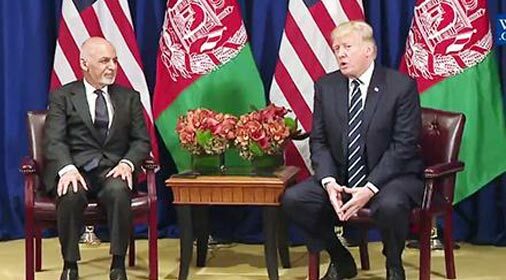 On the background of the United Nations General Assembly in New York, Ghani had met President Trump. Then at an event President Ghani’s appreciation of Trump’s Afghan policy had called attention. Washington/Canberra : Six Australian warships have been sent to the Pacific Ocean and the ‘South China Sea’ region for military exercise. 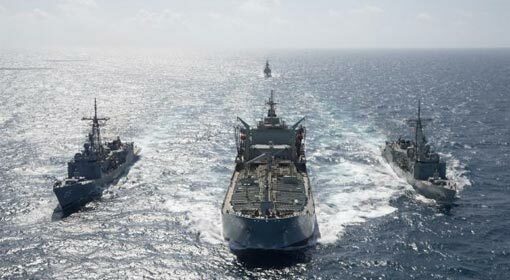 In the last three decades, this has turned out to be the largest exercise conducted by Australia in this marine region. This exercise initiated by Australia is believed to be a part of the policy designed by the US along with its allied nations to restrict the ambitions of China in the ‘South China Sea’. In spite of the fact, that China has been Australia’s largest trading partner nation, this decision taken by Prime Minister Malcolm Turnbull and his government has attracted attention. Washington : US President Donald Trump has decided to cut down on the number of refugees entering the country. 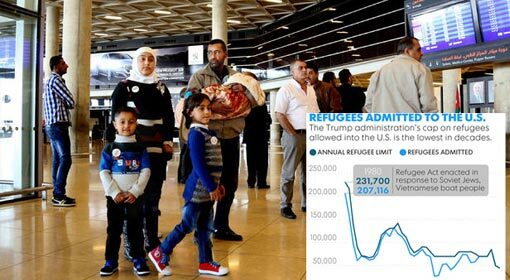 In the order issued by President Trump, the US will accept only 45,000 refugees in 2018. In the United States, the ‘Refugee Act’ was enacted in 1980. This is the lowest figure after that period. Former US President Barack Obama had increased the number of immigrants to 1 lakh 10 thousand during his tenure. Washington : The United States launched an attack on the ‘IS’ camp in Libya, killing 17 terrorists. On Sunday, the American African Command ‘Africom’ announced the attack, which was launched on 22 September. 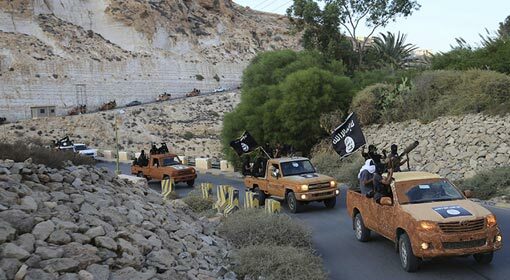 Due to defeat in Iraq and Syria, it is being claimed that terrorists of ‘IS’ have entered in some parts of Libya. On this backdrop, the attack on Libya by the United States is considered to be important. Beirut : Indications have come from Hezbollah, that if US and its friendly nations do not stop the air attacks on ‘IS’, then it is the Syrian citizens who end up becoming victims. Hezbollah has criticized the US for attempting to break the ceasefire agreement between the ‘IS’ and the Hezbollah, by mounting air attacks on ‘IS’. Hezbollah has also shown willingness to save the ‘IS’ vehicles from the US attacks by diverting them through alternate routes. 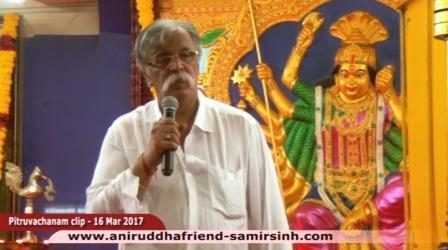 Melbourne : World’s leading industrialists and experts have cautioned that the ‘Killer Robots’ developed with the help of ‘Artificial Intelligence’ and ‘Robotics’ are directing towards the ‘Third Revolution Warfare, if at all the war begins the, the human race will not be able to face it. This warning has been issued in an open letter written on the background of the ‘International Joint Conference on Artificial Intelligence’ (IJCAI) being held at Melbourne city. 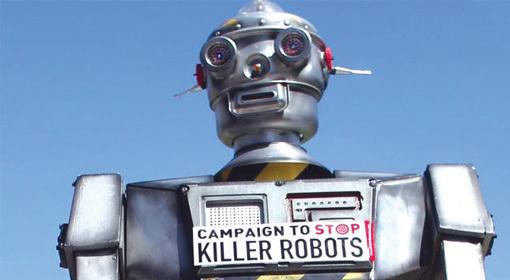 The open letter has been addressed to the United Nations, calling for ban on the ‘Lethal Autonomous Weapons’ being developed worldwide. 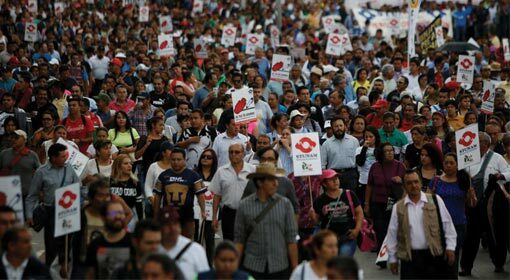 Mexico City: While the US and the Mexican government had been negotiating on the ‘North American Free Trade Agreement (NAFTA)’, thousands of Mexican citizens took to the streets in bitter protest over the NAFTA agreement. The Mexican rulers have been striving hard to prevent US from retracting; whereas, a contradictory picture of the Mexican population opposing the deal has come to the fore. Kabul : The US and the Afghan military forces have killed 22 terrorists in an operation conducted near the border of Pakistan. 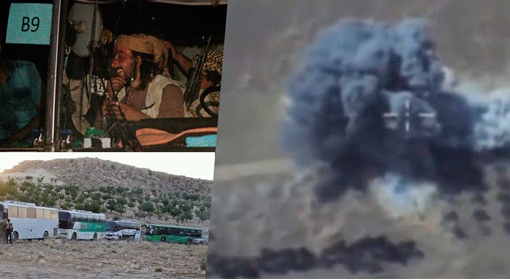 The Afghan machinery has informed that amongst those killed are seven Pakistani terrorists. This has been the first joint action by the US and Afghan military troops ever since the US President Donald Trump’s announcement of a new Afghan policy. 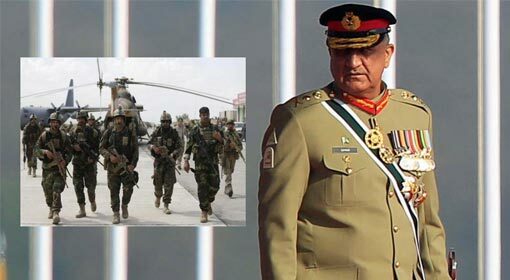 It appears that the action taken by the US and the Afghanistan Governments was a gesture of warning to Pakistan, long before Pakistan’s Army Chief, General ‘Qamar Javed Bajwa’ could arrive in Afghanistan.